For its price this trolley cannot be beaten. 1. Easy to assemble 2. Easy to fold out and set up when starting a round 3. 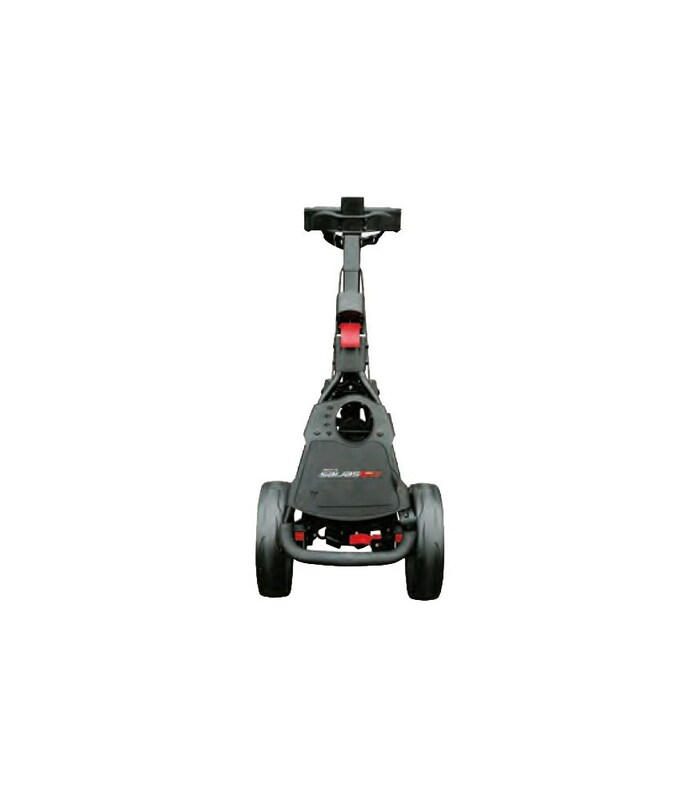 Easy to push/pull and manouver on the golf course no matter the terrain. Handy break when you want it to stay in place. 4. Plenty accesories with ball holder, tee holder, score card holder, umbrella holder and easy access to golf bag 5. Easy to fold up and put in the trunk at the end of the round Easily best bang for the buck at this price. 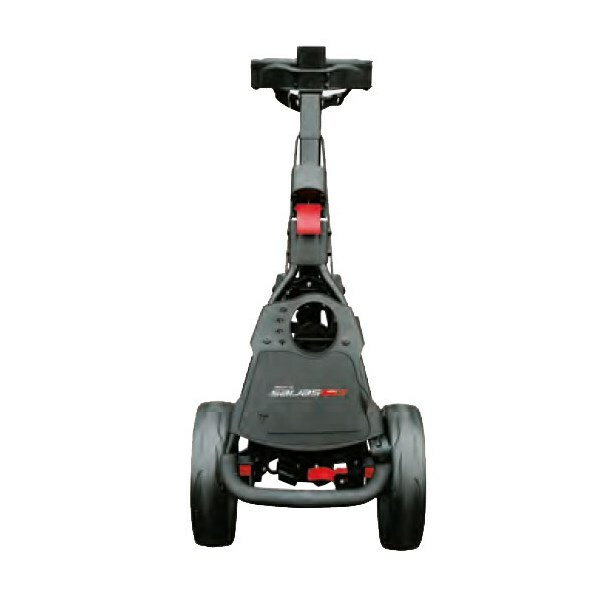 Could be used as two wheel and three wheel trolley - it's nice feature even if using it on a heeled course. In my case it was necessary to order the umbrella holder, so just check if it is in standard set. Exactly as shown. Light and sturdy, Good look, good to stow in Car trunk. It Fulfill all the expectations on the product Delivery on schedule Is not the best or the most solid one but for sure at that price is the best. Using it you will not feel that something is missing or that you bought a cheap one. I recommend it. well... For the money, I don't think this trolley can be beaten. Over £100 less than most of it's closest rivals. Simple to attach the wheels when it arrives, and you are ready to use. Some handy features on it too which are missing from so many others. Easy to erect and put down, pushes well and there are other accessories available too it being a Masters brand. Yes there are some bits which feel slightly cheaper, but they don't affect it's performance. It isn't the most compact either once folded, but by no means the most unwieldy either ... All in all this is and I'd recommend it to anyone who was looking for an affordable push trolley. Awesome trolley. Has lots of nice features. Easy to add things to the trolley e.g. umbrella holder. Easy to fold away. Has made my rounds of golf a lot easier. 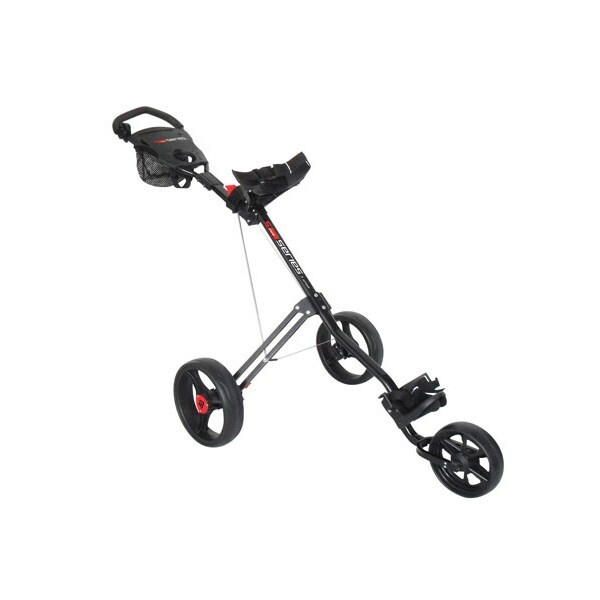 Very nice trolley, easy to assemble and very light to push, thanks golfonline! 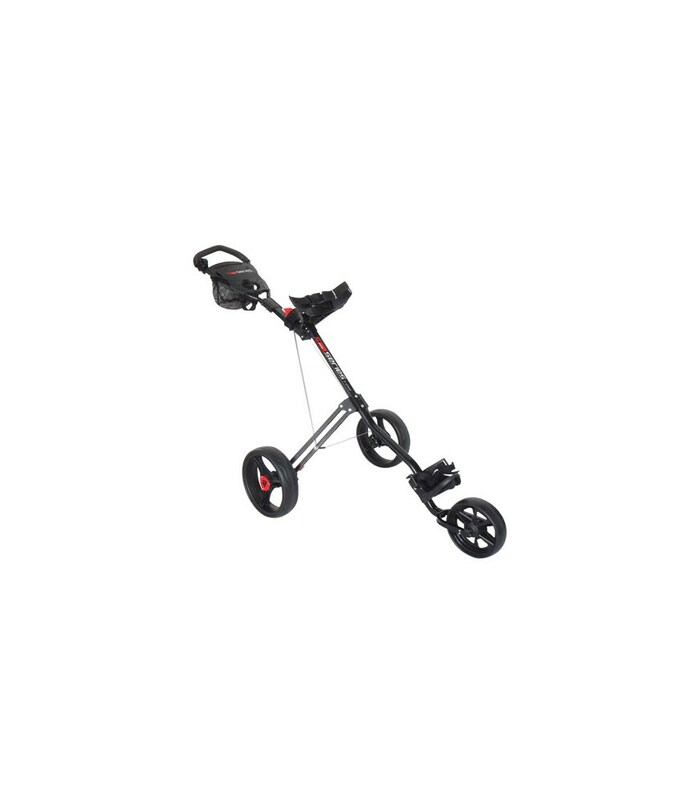 The 5 Series 3 Wheel Push Cart is a 3 wheel golf cart with a sturdy frame and high load capacity. 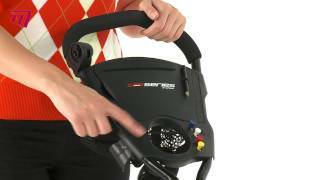 It can support the shape and weight of any golf cart bag and glide easily over almost any terrain.